With the summer ending and the European leagues back in action there is only one thing left in the calendar to mark out. It’s the one thing us armchair managers have looked forward to since the referee at the UEFA Euro 2016 Final blew his whistle after extra time or FM16 were updated with the latest winter transfers and bug fixes. Finally the latest news about the coming Football Manager 2017 were revealed on the 17th of August by Sports Interactive by announcing the Football Manager 2017 release date and how you can get your hands on the newest version of Football Manager 2017 with all corrected data, league structures, football transfers happened around the world before the 2016-2017 season. Surprisingly and somewhat different from the previous years’ Football Manager announcement, there were no information about new or updated Football Manager 2017 features but you will be able to manage 2500 clubs and get access to 500000 players and staff. We will announce and provide you with as much as information about Football Manager 2017 as soon as we get hands on it. Make sure to follow our Twitter page or directly here on our blog to get a better insight to FM17. Since the Football Manager 2017 announcement came out a month ago, we’ve all eagerly anticipated more news about the Football Manager 2017 features and how the new game will be improved. For once, the FM17 announcement came without any information about what has changed from FM16. But now we can present the very first news about Football Manager 2017 and a first look at the FM17 match ! Yesterday [18.09.2016] Sports Interactive released the very first video teaser of Football Manager 2017 which gives a brief taste of FM17, which you can watch below. Still the FM17 video teaser is quite not enough information for those that are not die-hard Football Manager 2017 fans and will pre-order Football Manager 2017 no matter what, but works as an advertisement to let you know what you can expect from Football Manager 2017. According to the first teaser of Football Manager 2017, the game we all love will be able to enjoy 1000+ new features, 20,000+ new media items and 1500+ new animations in additional to a whole range of improvements and changes that will be revealed bit by bit in the coming weeks. Stay tune for more information about Football Manager 2017! While further news about the new Football Manager 2017 features, changes and improvements will have to wait closer to its release we’re glad to announce the options to pre-order Football Manager 2017 from a participating retailer (boxed or digital) or take advantage of the unique FM17 Loyalty Offer on Steam. By pre-ordering Football Manager 2017 you will be able to kick-start your managerial career approximately two weeks before full release with the free early-access Beta. For those of you who have lived with your hands in the sand for the last years the early-access beta gives you a chance to try a limited version of the game. All saves and careers started in the Beta can be carried over to the full game once Football Manager 2017 is officially released. No matter if you pre-purchase or buys the game after its release a free version of Football Manager 2017 Touch will feature. Football Manager 2017 Touch is a more streamlined version focused more on transfers and tactics, but build on the same database and match engine as the original game. 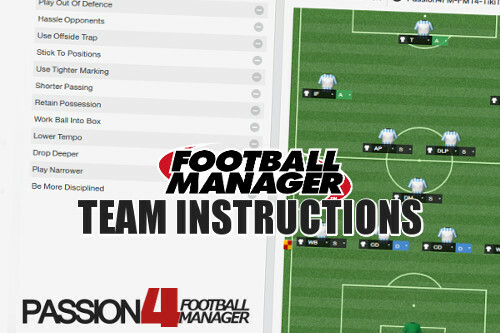 By pre-ordering Football Manager 2017 from a participating retailer, either you are one of those who collects on the boxed version or are happy enough to download the digital version from Steam onto your computer, you will receive a range of free downloadable content for FM17 Touch such as three brand new challenges plus ‘No Firing’, ‘Board Override’, ‘All Job Applications’ and ‘National Management’. The one and only Football Manager 2017 Loyalty offer on Steam are launched as a thank you to the most loyal fans for the past four versions of the game. It’s only available for those who have purchased one or all games dated back to Football Manager 2013. By receiving a 5% discount when you buy Football Manager 2017 for every game you own there is a chance to save up to 20% if you have FM13, FM14, FM15 and FM16 in your current Steam library. The pre-purchase Steam Loyalty offer ends 11.59GMT Friday 14th of October. Pre-order Football Manager 2017 from Steam – Save at least 5% pr every Football Manager title owned back to FM13.